Developer ecosystem is now mainstream. As an entrepreneur, how and when do you decide whether to build an application or platform company? What are the business, marketing, and technical considerations as well as the risks and benefits of each model? As CXO of a platform company, how do you build your developer ecosystem and add value? What type of platform do you want to build: one to build your brand or one for which other brands are built on? Attend the Apps to Platform conference and hear insights from industry luminaries on these topics and learn about the latest trends on API delivery and adoption. Join a great group of developers, entrepreneurs, thought leaders, service providers, students, and journalists for an exciting, informative day. Ecosystems - How Do We Build Them? Is this something to think about at a later stage of a company? 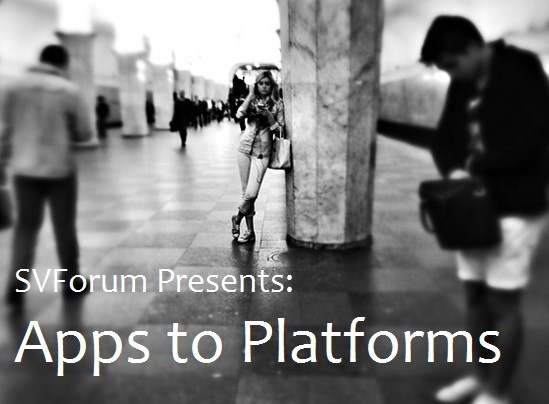 Moving to the platform - How do you know it's the right choice for your business? Check back soon for more information, speakers, agenda updates, and more!